GREENWOOD—Almost 20 years ago, David Henn pondered whether God might be calling him to be a priest or a husband and father with a career as a lawyer. But he was contemplating this question of faith in an unusual setting: the gallery of the House of Representatives prior to the start of a State of the Union address. At the time, Henn was a student at Indiana University in Bloomington and serving as an intern in Washington, D.C., for then-Representative Andy Jacobs Jr.
As he sat there in the veritable temple of American political power, a priest came and sat next to him. It was Jesuit Father William Byron, then president of The Catholic University of America in Washington, D.C.
“I actually opened up to him and told him exactly what I was going through,” Henn said. “I even told him that I had just met this girl, and that I was obviously taken with her. “It had never occurred to me for a second prior to that moment that being a lawyer didn’t necessarily mean not pursuing an active vocation for the glory of God,” Henn said. “That just stuck with me. That was probably the moment that I decided that the priesthood was probably not going to be the way for me. Being enlightened about how he could glorify God through work in the secular world eventually led Henn more than a decade later to participate in the first permanent deacon formation program in the history of the archdiocese. 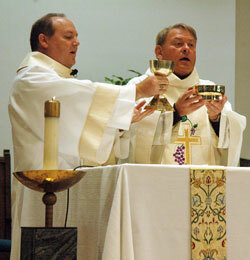 He was ordained a deacon on June 28, 2008, and ministers at Our Lady of the Greenwood Parish in Greenwood. Today, Deacon Henn lives out that lesson he learned 20 years ago in his law practice in Greenwood. The formation he received in the deacon formation program helps him. He also helps Catholic clients who come to him for estate planning to learn about end-of-life issues. When living wills are discussed, he will offer them a copy of the U.S. bishops’ teaching on the topic. “That affects people,” Deacon Henn said. In 1994, Deacon Henn married his wife, Mary Ellen, whom he had met shortly before that State of the Union address. 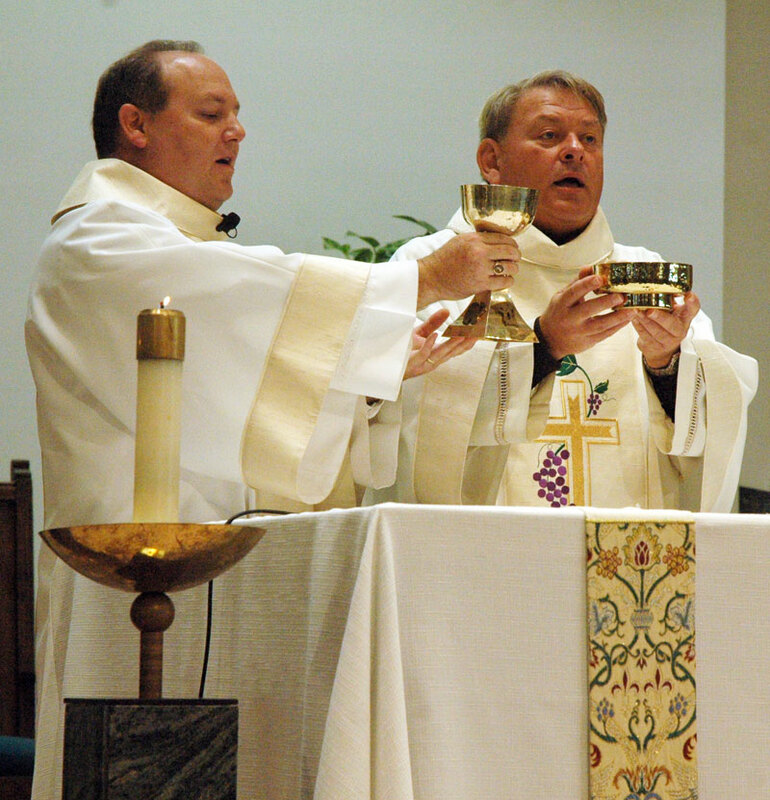 He discovered that missing piece when the archdiocese launched its first permanent deacon program in 2003. Mary Ellen became confident that her husband had a possible call to the diaconate when she easily accepted the program’s rigorous formation schedule. The deacon candidates had formation sessions one weekend a month for 11 months each year, had homework to complete and were involved in ministry assignments. The years of formation were a blessing to the couple. The Henns’ two children, Sydney and Collin, have grown up with the diaconate as a part of their lives. They were 5 and 3 when their father began his involvement with the deacon program. It is not unusual for Collin, a fourth-grade student at Our Lady of the Greenwood School, to be an altar server at a Mass where his father is also assisting. “It’s fun [when] I’m up there with my dad at the altar,” Collin said. The children often come and go from the parish with their dad. “We were probably in and out of the parish probably a half dozen times on [a recent] Saturday,” Deacon Henn said. The children find that their dad is often busier than their friends’ fathers. Sydney, a sixth-grade student at Our Lady of the Greenwood School, was worried the first time that her father preached at a school Mass. But Deacon Henn is adamant about not telling stories about his family during his homilies. Still, Deacon Henn admitted that Mary Ellen, whom he called the “spiritual center of our family life,” profoundly influences his preaching. Deacon Henn and Mary Ellen know that, through his preaching and their presence in the parish, others see them as role models, a reality they admit is a little scary at times. Deacon Henn hopes that his example will lead his fellow parishioners to delve deeply into their faith.